A berry special berry to us here at Stahlbush, Marion Blackberries are a Pacific Northwest gem. Developed at Oregon State University in Corvallis, Oregon (the same city as our main farm!) the Marionberry holds a special place in our heart. That’s why we have been curating our favorite recipes featuring Marionberries for you to enjoy. 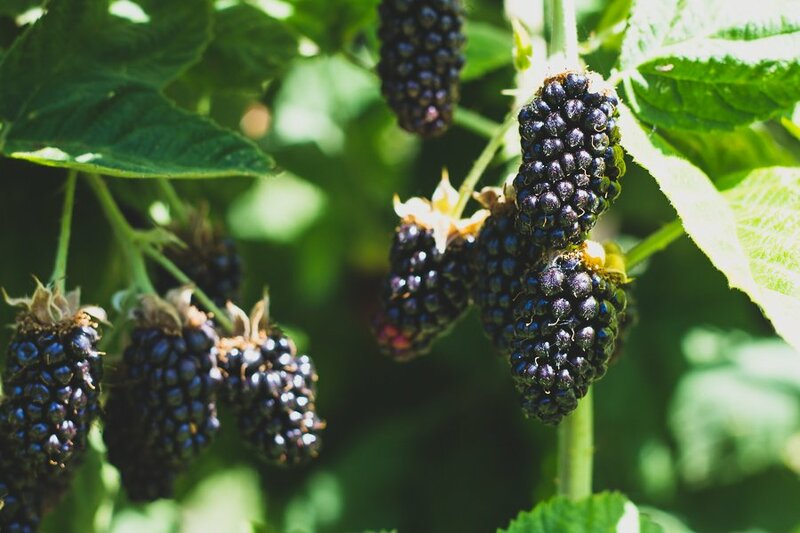 Similar to a Blackberry, Marionberries tend to be slightly sweeter and have a lighter flavor. Enjoy our favorite recipes below to get a taste of the Pacific Northwest. Cut in the butter, until mixture looks combined. Mix in the Marion Blackberries. In a separate bowl, combine the eggs, half & half, and almond extract. Place the wedges 1 inch apart on the baking pan, lined with parchment paper. Combine 1 cup Marion Blackberries, sugar, lemon juice, almond extract, and cornstarch into a small saucepan, and bring to a boil. Reduce heat and simmer until thick, about 5 minutes. Add the rest of the Marion Blackberries and combine. Serve with ice cream, biscuits, granola, pancakes etc. Add all ingredients to a high speed blender, and blend until smooth. In a large bowl, mix together the berries, sugar, and flour until coated. In a large bowl, prepare the topping by mixing flour, oats, sugar, and cinnamon. Slowly add butter and mix until combined and mixture is incorporated. Add mixture carefully on top of the berry mixture, and bake for 20 -25 minutes, or until golden brown. Let cool for 10 minutes, and serve immediately with ice cream or whipping cream.